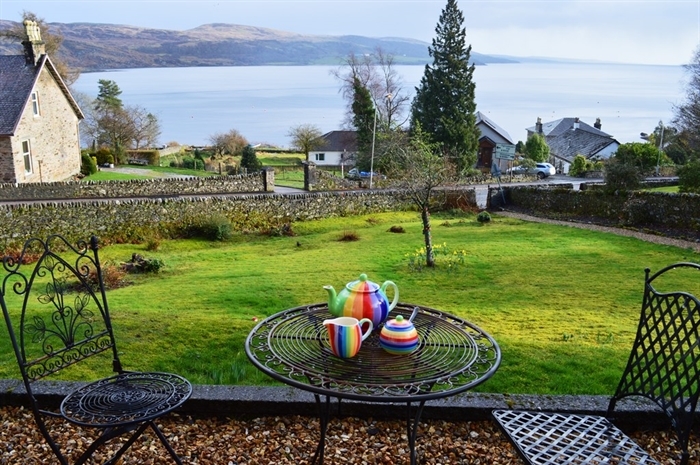 This magnificent villa has a wonderfully elevated position with fabulous views of the Kyles of Bute and beyond. 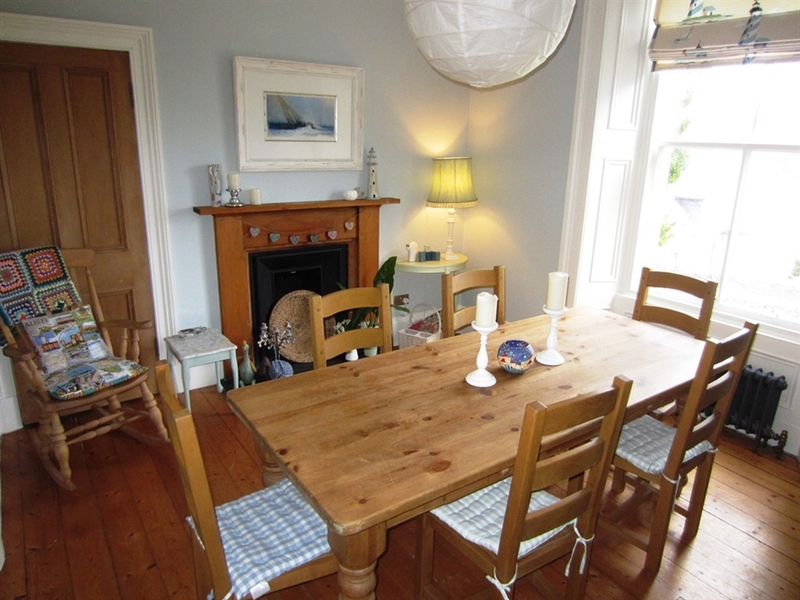 With 4 spacious bedrooms this property sleeps 8 persons confortably. 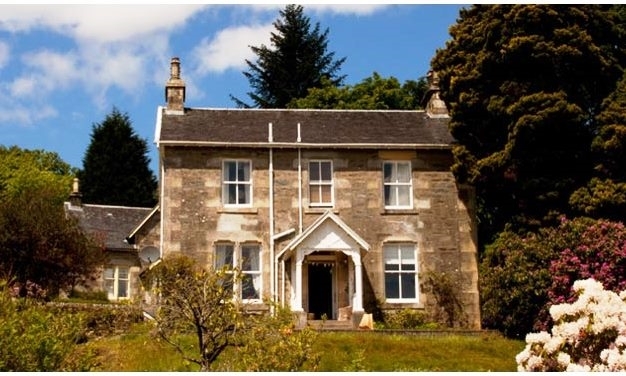 A stylish Victorian house beautifully presented with spectacular waters views on Argyll’s Secret Coast. 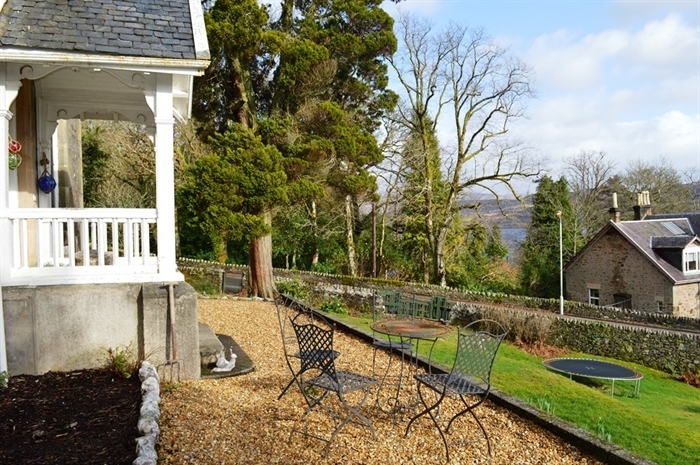 The villa has a wonderfully elevated position with fabulous views of the Kyles of Bute. 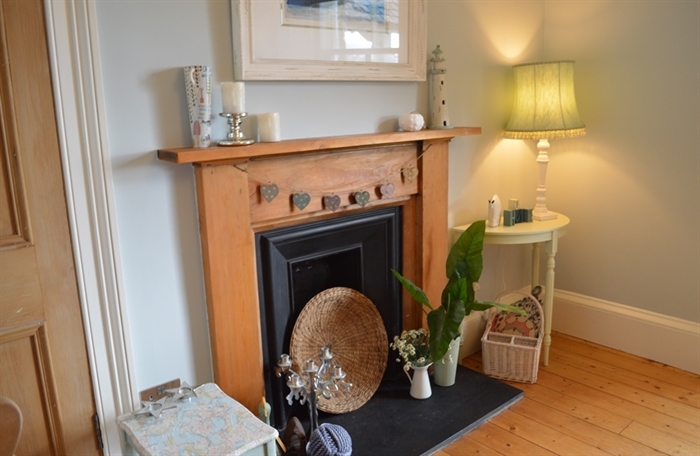 It has been beautifully renovated and furnished, creating a comfortable, inviting holiday house that’s full of coastal charm. 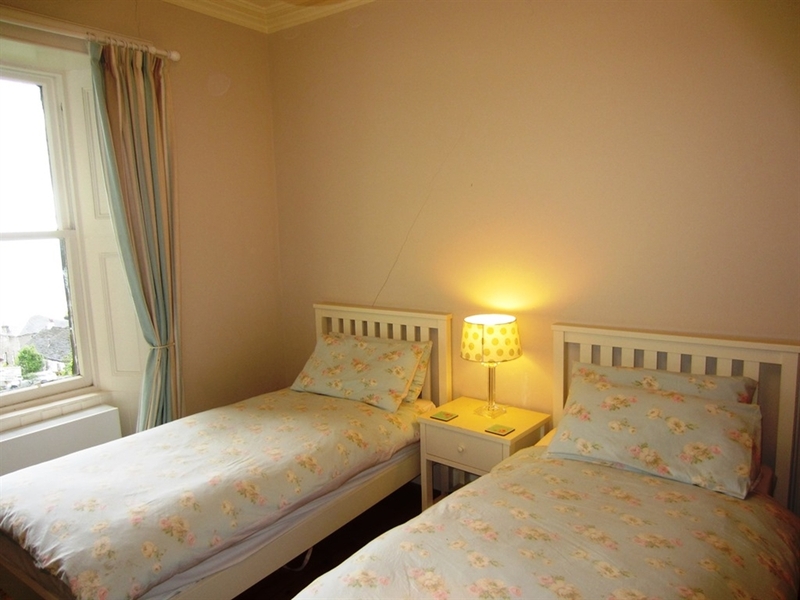 The flexible and spacious accommodation is perfect for families and friends looking to holiday together. 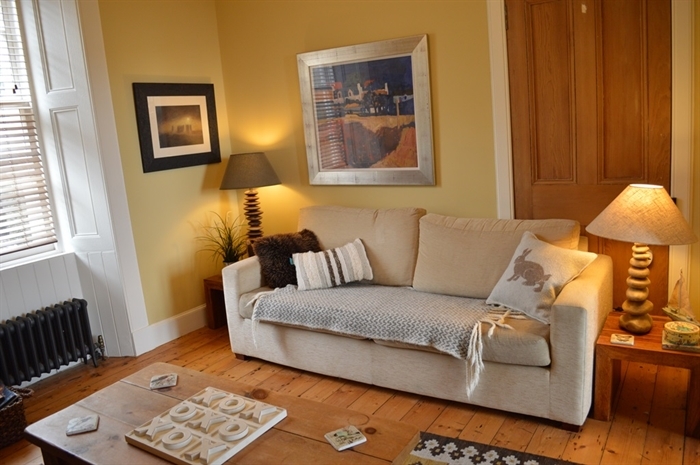 The large entrance hall leads you to the sitting room that has two distinct areas making this a flexible space where groups can gather together or enjoy separate activities. 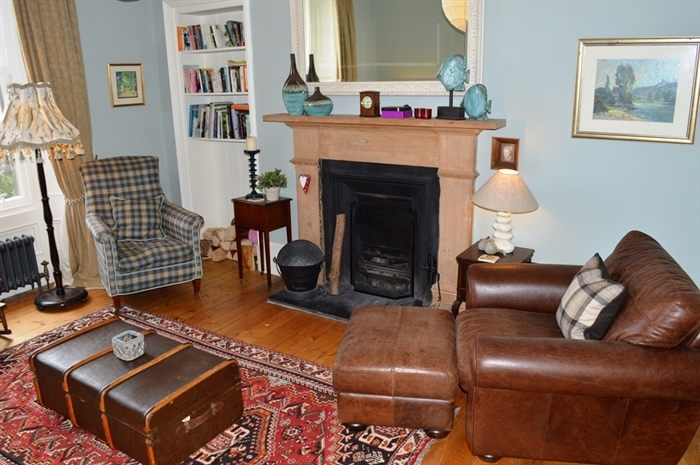 With an open fire, comfy leather sofas, and lots of vintage finds, it’s the ideal place to enjoy evening drinks, read a book, play games or while away the hours with friends. 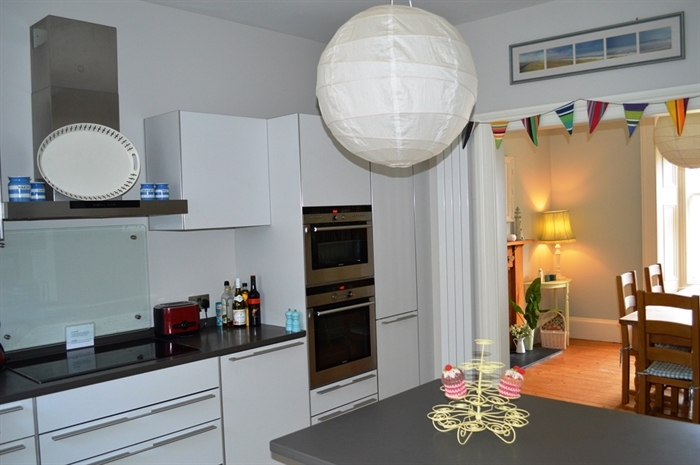 The spacious open-plan kitchen and dining area is a beautifully decorated space. The kitchen is every cook’s dream, fitted with the finest quality appliances. 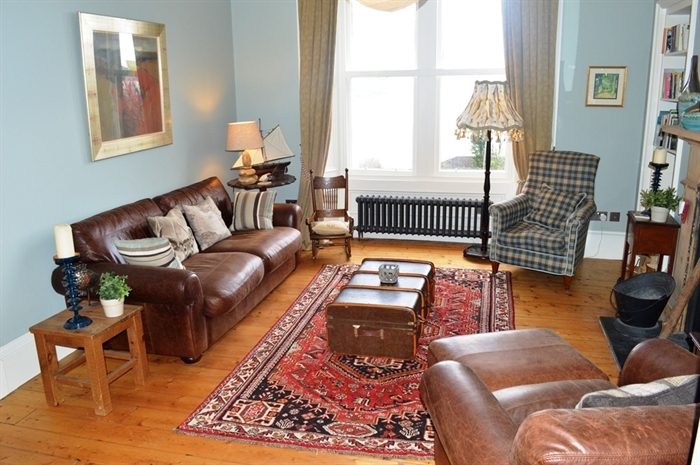 The dining area has gorgeous views out to the Kyles of Bute with a large dining table, open fire, art and a fine selection of books, and is a great place to eat, drink and relax. The kitchen leads through to a large utility room and a door to the back garden. Just off this room is a fabulous tiled wet room complete with body jets and overhead shower, toilet and wash-hand basin. 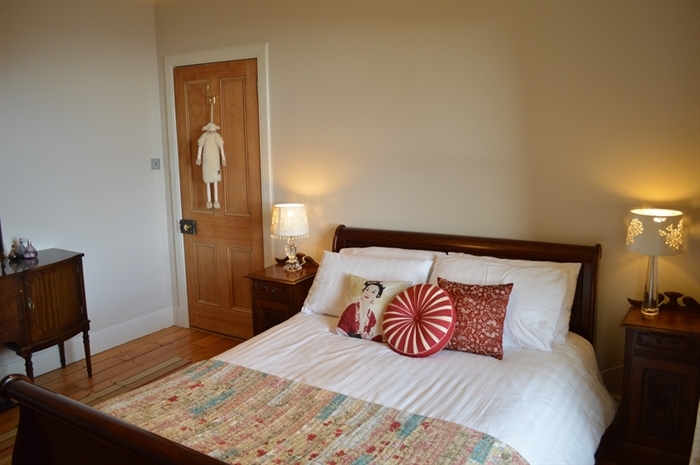 The four stylish bedrooms are located upstairs with a large contemporary bathroom. 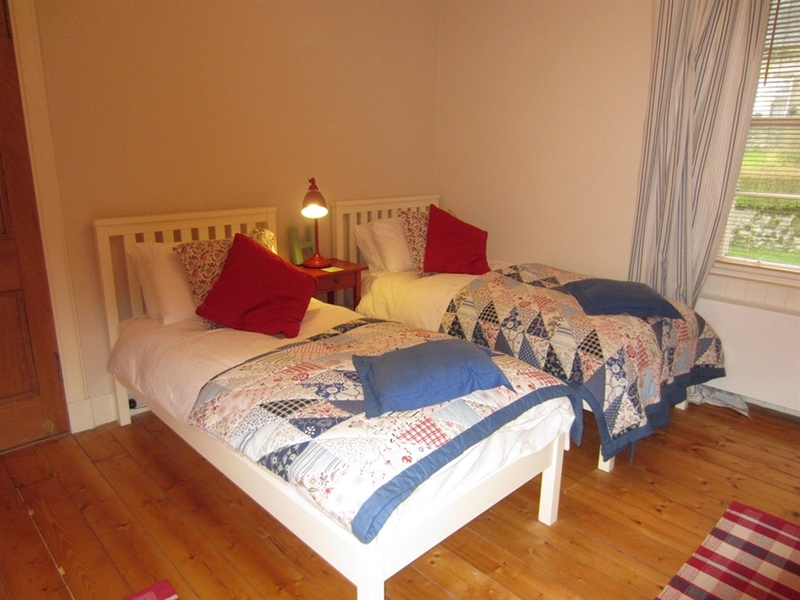 One double bedroom, three twin bedrooms (can be made up as super king-size doubles if required. The second bathroom is located downstairs. An extensive garden surrounds the house to the front, side and rear, affording spectacular views, perfect for alfresco dining or an evening drink. In spring, the garden is particularly delightful, with one of the best rhododendron displays in Tighnabruaich. Stay for 3 nights and only pay for 2.